You'll need to use your words if you want to survive in this week's Link Dump Friday... and that's literally! But we've also got building, stop-action golems, Steamsmithery, and more, so if you're not feeling particularly verbose, we've still got you covered! Word. 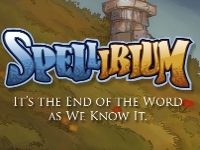 Untold Entertainment's upcoming PC/Mac indie word game and glorious adventure Spellirium is a thing that you should be excited to play... and now you can, since the pre-order campaign has officially launched, and will grant you immediate access to the Alpha version! You play a young man who discovers an extraordinary device... one that allows him to not only battle monsters by spelling certain words, but also shape the world around him. I've spent all morning playing the Alpha, and I'll tell you this is one gorgeous game. It's not enough to just have smooth, beautiful art and animation... you need engaging, clever gameplay too, and fortunately Spellirium has both of those things in spades. It really is much more challenging than simpler games like, say, Bookworm, in the way it forces you to think and puzzle out the rules of each stage, and it doesn't hurt that the story is intriguing too. The game isn't complete yet, but still head and shoulders above most other casual games out there, and well worth your time... and your vote for Steam's Greenlight. 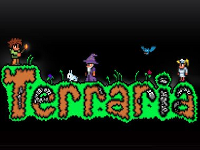 Hello, Old Friend Re-Logic's indie sandbox RPG building game Terraria was a massive hit, but with the move to consoles, it seemed like PC players were left sighing wistfully in the dust as far as new content went. Well, no longer! Regidit announced they are working on an update to the PC version thanks to four new artists picked up from the community, and we couldn't be happier. Like Minecraft, Terraria is tons of fun to play alone or with friends, and the new elements included in this planned update, which includes new tiles, pets, and more, will give you even more reason to replay it when it finally comes out! Why So S... No, No, Too Obvious... What do you think of when you think of JRPGs? Chances are, apart from random battles and grinding, you probably think of a whole lot of angst, drama, and slow-motion scenes set to Faye Wong. 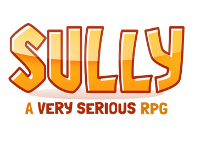 While there's nothing wrong with that, Bread Brothers want to prove the JRPG formula can be fun, funny, and light-hearted in their upcoming indie RPG Sully. Due out this summer for PC, Mac and Linux (as well as the Vita), it features Crystal and Darin, two young people enjoying the last of their time together before they go off to college... in a world filled with talking marine life, sky trains, and Lord Stan... a demon who's probably going to ruin everything. It looks fantastically silly, which is, depending on your taste, a very good thing, and could be just the ticket for people who love JRPG gaming but are sick to death of stories that heap on the melodrama. 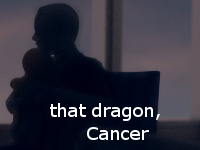 Hope and Heartache That Dragon, Cancer is an upcoming PC adventure game that I can't help but regard with wariness. It's based, in part, on developer Ryan Green's experience with his four-year-old son, who is in his third year of battling terminal cancer. If this sounds like heavy subject, well, obviously it is, and it's also a sensitive one as people with different beliefs and dynamics deal with grief and illness in different ways that means even people who have gone through this will have drastically different reactions to it. While the site lacks a lot of basic information (platforms, in-depth synopsis, gameplay, etc) it's definitely one to keep an eye on if you like your games personal, moving, and heartfelt. All Your Cogs and Wheels Won't Help You Now It seems like everyone loves Steampunk, but if you were in a world where it reigned and something very like magic began to creep in, how would you feel about it? 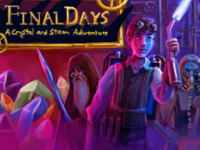 In Final Days: A Crystal and Steam Adventure, people have been using steam power for a long time, but mysterious crystals found deep beneath the waves and earth have lead to a clash between science and something more dangerously mystical, and a young Steamsmith apprentice is about to get caught between. Promising multiple choices and a crafting system, it sounds like a great fantasy adventure for fans of old-school gaming, but it would be nice if there were more gameplay showcased or basic details given, like the platforms, though we can probably presume PC as one of them. Still, it has a lot of potential, and adventure fans would do well to check this one out! Precious Cargo Well there's something you don't see every day... a golem made of various bits a pieces struggling to protect the heart it carries outside its body. Happy Badger Studio are behind the concept for this strange yet captivating puzzle platformer, and Something Fragile is definitely eye-catching, to say the least. Planned for PC and Mac, everything you see with be created with physical media... or in other words, made from physical objects, then animated through stop-motion. The catch is that you, as this creature carrying around your heart, have to get it safely through each stage, and the heart is vulnerable to environmental hazards when you put it down, and venturing too far away will kill you both. Good looking games are a dime a dozen, and even interesting looking games aren't that unusual, so Something Fragile will need more than style to make this Something Special... but it just might have that going for it too. Do you know an upcoming indie project or some community gaming related news you think deserves some attention? Send me an e-mail with LINK DUMP FRIDAY in the subject line at dora AT casualgameplay DOT com with the info, and we'll judge it with the all-seeing glare of our own self-importance for inclusion in a future Link Dump Friday article!